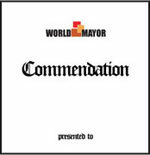 3 February 2015: City Mayors invited those who participated in World Mayor 2014 to put questions to Ghent Mayor Daniël Termont, winner of the 2014 World Mayor Commendation for SErvices to European Cities. From the questions received, a representative selection was forwarded to the mayor. He replies below with candour and thoughtfulness. Question: You have devoted most of your working life to local government in Ghent - first as councillor then as mayor. Did you ever envisage a different career path? 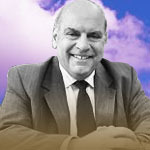 Mayor Termont replies: At 18, I seemed predestined to take over my parents’ business in all kinds of second hand goods. That is why I studied book keeping. But things turned out different: through my work in youth welfare, I was able to get a job at the socialist Health Service ‘Bond Moyson’. In the meanwhile, I was elected as city council member in Ghent, at the age of 23. After the local elections of October 1994, I was asked to become deputy-mayor  a full time job in Ghent politics. I was deputy-mayor for the Port and Economy for 12 consecutive years; the last 6 years I was also responsible for festivities (amongst others: the ‘Ghent Festival, the biggest outdoor cultural event in Europa, every year for 10 days long in the inner city). At the end of 2006 I was elected mayor. Over the past years, I was frequently asked by my party leaders to take up a job in national politics, but I always refused to do so. I wanted to retain a 100 per cent focus on my duty towards Ghent and the Ghentians. Question: How can you ensure that city policies enhance a climate of innovation and support initiatives that make the city a better place to live with high quality of living but at the same time reduce the footprint of the city on our environment. Which initiatives are you taking towards a ‘green city’. As world leaders are unable to make binding agreements on climate change issues, how do you think Mayors of the big cities can contribute to a reduction of our dependence on carbon energy? Mayor Termont replies: Ghent has set out ambitious climate targets. We want to become al climate neutral city by 2050. This means that by 2050 our city has no impact any more on the climate. To put that ambition into practice we signed, the first city in Belgium to do so, the Covenant of Mayors to reduce our energy consumption and our CO2 emission by more than 20 per cent by 2020 and made a carbon footprint of our city and drew up a local climate plan. We work on several aspects and the new multi-annual city budget 2014-2019 adds an extra investment of 17 million euro directly addressed to climate action measures (stimulating energetic renovations, energy-efficiency of social housing, energy coaching for companies, renewable energy). Other budget increase is partly addressed to climate measures (e.g. cycling infrastructure, renovation of municipal buildings, stimulating the use of public transport). In total over more than 100 million euro of the city budget will contribute to our climate ambition for the period 2014-2019. For instance we want to double the renovation degree in Ghent and want that every renovation contributes to reducing energy demand. We have developed a wide range of actions to help our citizens to meet that target. We offer free building advice, renovation advice on site, advice on financial issues, cheap loans, grants for energy investments and we guide our citizens through the renovation process so they can make the best choices. We also offer guidance to our companies. They can get assistance to implement energy measures. Another key element in our climate policy is working together with our citizens to connect them with their environment and creating relations between citizens and technologies, services, organizations, subsidies and actions. Thus stimulating co-creation. By collaboration projects with different stakeholders, concrete action in the field of energy or mobility gets visible results on the livability. Large-scale city renewal projects such as The Old Docks, a new climate-neutral city district of 1,500 houses, are implemented and new technologies are being researched, such as the use of wastewater as an energy source. We also developed a food strategy, because worldwide, the production and consumption of food has the biggest impact on the environment. Actions on city farming, reducing food waste, fair trade… are part of that strategy. A key-element in the approach is the new mobility plan, which set out new standards for a greener traffic management and a modal splits towards public transport, bikes and car-sharing. Ghent has expressed the ambition to become the most bike-friendly city in Flanders. Question: I am aware that you are doing your utmost to make Ghent a safe cycling city - some streets have been designated for cyclists only - but as a regular cyclist commuting to and from work every day weather permitting, I have had some serious encounters with fellow cyclists, mostly of school or university age, which landed me on the ground on several occasions. As a cyclist of advanced years, I admit that I am not always the fastest and most agile but these youngsters scare me and even my colleagues half my age who have cycled all their lives. My question is this: is there any solution to this problem that you can suggest apart from the education the youngsters receive at school? As a cyclist yourself I am sure that you have also experienced aggressive cyclists. Mayor Termont replies: Ghent already is a ‘city of cyclists’ and we will further invest in ameliorations for cyclists  15 million euros in the years to come until 2019. Nevertheless: it is correct that part of the cyclists in our city (center) are way too reckless. Hence, our police force focuses on supervision at several ‘black spots’. Of course, we organize prevention campaigns as well  on sufficient visibility in traffic, for instance. The ameliorations in infrastructure mentioned above, and the plans in our draft ‘Mobility Plan’ to better structure all means of transportation in the city (pedestrians, cyclists, public transportation and car traffic outside of the city center) will no doubt add to the safety level. Question: Have you any ideas how to curb bike theft in the city and how to recover stolen bikes? Mayor Termont replies: It goes without saying that our police force is always looking out to catch bicycle thieves. Moreover, we inform all Ghentians on how they can lock their bike in the best possible way; and we organize free sessions to have your birth register number engraved in your bike on a regular basis, to make it more difficult for thieves to sell a stolen bike and, on the other side, to make it more easier to return a recovered bike to its rightful owner. On top of that, we constantly invest in the realisation of supplementary bike storage capacity. Question: Ghent, like many other attractive cities in Europe, is facing an affordable housing crisis. Many young families are forced to move further and further out. Do you have any plans to prevent central Ghent to be only affordable to wealthy people or singles, who live in very small units? Mayor Termont replies: Our Municipal Policy on Social Housing focuses on the house renovation, the increase of the number of affordable houses and social housing as well as additional student housing. The City of Ghent offers family subsidies; our Municipal City Development Company sets up house building projects throughout the city; and in big city renewal projects (such as at the Old Docks and at the Saint-Peter’s Railway Station), the building of 20 per cent social housing and 20 per cent affordable houses is imperative. In 2015-2016, the construction of 1.300 social housing units is planned (5.300 in total in the period until 2020). The City of Ghent offers advice and subsidies to families for the sustainable renovation of their houses. This way, we involve all citizens in our shared ambition to make Ghent a climate neutral and affordable city to live in. We have got municipal housing desks throughout the city, for information and advise. The City of Ghent has got an open dialogue with all players involved in the housing market in our city, including real estate companies. Question: Will you be able to continue your sensible 'harm-reduction' drug policy, after the new Belgian government declared on its first day, that cannabis would no longer be tolerated for personal use? Mayor Termont replies: Most certainly. In Ghent, we have always opted for an integrated approach in our drug policy, since that is the most efficient. Prevention, aid, damage control and repression are equally important. We have summed up actions in all of these fields in our Drug Policy Plan. Harm reduction and health improvement of drug addicts is one of the spearheads in our plan (think of the Needle Exchange project), as is tackling drug-related inconvenience. Repressing the production of drugs, the import and organized trade is of the highest priority for the Public Prosecutor. In other words: it is equally important to work both on demand and offer. Question: You are well known for feeling comfortable when talking to ordinary people but also at home when negotiating with leaders from business and government. Does the ability to connect with everyone require special skills? Mayor Termont replies: Rule number one is: always be yourself. People will notice immediately when you are acting. Speak your mind, but always with respect, no matter the person you are speaking to. I can mingle with dockers in their favorite bar in a working-class neighbourhood, as well as with royals at the Royal Palace. Mind you: of course I picked up things along the way, during my career. I have worked within the world of the socialist party, the Health Service and the Labour Union for a long time, but as deputy-mayor for the Port and Economy I have learned to interact with CEOs as well. I was raised as the child of merchants, which helped too. Question: Preserving tolerance, mutual respect and intercultural communication in a multicultural city like Ghent is a real challenge especially at times when right-wing media are growing stronger and seeking to polarise and to set up different groups of people against each other. How can you as a mayor effectively anticipate and counter scape-goating and the real dangers of racism and fascism in your city? Mayor Termont replies: First of all: I believe that, as the mayor, you should be omnipresent. Being the mayor is a 24/7 duty. I work hard in City Hall, I am in meetings all too often, but I make sure to spend a lot of time with the Ghentians as well  at public meetings, at neighbourhood festivities, at football matches, and so on. That is where you can hear how things are going in your city. Moreover, you have to be able to treat everyone with equal respect. ‘Civilisations do not clash’ in Ghent, despite the fact that people of no less than 160 different nationalities live together in our city. My relationship with the imams is very hearty, as it is with representatives of NPOs of all kind, including organizations of communities from far away countries. It is not always easy: there are basic rules in our society that everyone has to follow, without exception. I will not allow anyone to break these rules, whether they are Belgian or not. However: we support all initiatives that add to the fine atmosphere in our neighbourhoods, by investing in street festivities, by subsidizing organizations, and so on. Question: Urbanisation is a global trend, present in all continents and expressing itself in an urban society, which is developing faster and creating more wealth than rural societies. Even though I also prefer to live in a city, I have a concern about the growing difference in living standards between urban and rural populations within one geographical area. New solidarity mechanisms between cities and their surrounding hinterlands might be an answer to manage the gap. I would to learn your view on this growing gap and whether and how you as Mayor of Ghent have any ideas on how to close the gap. Mayor Termont replies: Urbanization has different causes and consequences throughout the world. Cities in Flanders gained attractiveness over the past decades and re-discovered their pioneering role. However, they face major social, ecological and economical challenges. Saying that urbanization in Flanders works to the disadvantage of rural communities is incorrect. As the second biggest city in Flanders, Ghent offers employment (in the larger area around our seaport, for instance), leisure and other facilities rural areas lack. A lot of people from outside the city study and work in Ghent. It is the idea of ‘living rural but working in the city’ that threatens the sustainability of city life  think of daily traffic jams for instance. Ghent is well aware of the fact that it is not an island within the region. On the contrary: investments and prosperity in the areas surrounding our city are for the benefit of the city as well. It is useless to act as competitors or rivals. It is better to search for cooperation in the field of mobility, industrial terrains, the location of vast green areas, and so on. Too often, I sense an anti-urban state of mind in neighbouring communities. That is why I took the initiative, a couple of years ago, to invite the mayors of the neighbouring to enforce our cooperation for our mutual benefit. The cooperation between the City of Ghent, the Port Authority and all Flemish and Dutch cities involved is a nice example of how things should be managed surpassing city borders. Question: How do you plan to further benefit from the presence of the university to aid in the socio-economic and cultural development of Ghent. We already have the bio-energy valley, but what other fields of collaboration could you imagine? Mayor Termont replies: Ghent is a real student city with more than 70,000 students! There is a strong historically grown cooperation between the city of Ghent and the Ghent University. The university campuses have historically emerged across the city, which is known to be an important asset of the student life in Ghent. The students live all over the city and hence enliven the atmosphere. The role and significance of the presence of the university, the university colleges and their students is not to be underestimated. They influence in a great way the life in the city: housing culture, mobility, nightlife, cultural life, street image etc. However, besides this they also give a huge boost to the economic and creative life in the city. Many students stay in Ghent after their studies and many of them also start their own creative business. City-University co-operation in Ghent is deep and broad, and can be found at many levels. At the top level, city and university maintain excellent relationships, expressed formally and informally. Twice a year, there is a formal meeting between the board of mayor and deputy mayors of the city and the executive board of the university, where strategic issues are discussed. Second, there is a plethora of co-operations in a number of specific domains like e.g. student housing. Finally, on the level of university research groups or individual professors, there are also a number of joint projects, and initiatives. In Ghent, there is a widely shared notion that city and university are strongly and positively interrelated, and need each other in a number of regards. To stress even more the significance of this university-city nexus, the city of Ghent and the Ghent University both became member of the European network ‘EUniverCities’ since 2012. This network has the overall objective to address issues at the core of city-university cooperation and to improve the cooperation itself through the exchange of good practices between the network members. With a couple of the network members we also started a European URBACT project ‘EUniverCities’ in which the city works together with the university and the university colleges to address a defined local challenge, namely to manage the growth of Ghent as a city of students, research and innovation. Currently, there is a lack of space for research, for student housing, and for innovative business. This challenge requires an integrated and sustainable approach and joint efforts involving all stakeholders. In the framework of this EUniverCities URBACT-project, representatives of the city and of the HEI’s work together in a Local Support Group (LSG) to elaborate a long-term shared vision and a strategy for managing growth in a sustainable way. Because of the wide range of themes the LSG decided to establish 6 working groups: (1) use and management of public and semi-public spaces, (2) student and image (including communication and co-creation/student engagement), (3) student housing, (4) mobility, (5) culture and tourism and (6) structural cooperation between city and HEI’s. Currently all the working groups and the LSG are drawing up actions that are or will be addressed together and will result in a local action plan in mid 2015. Question: As someone who has worked in tourism, I happen to know that Ghent eagerly aims to be a popular tourist destination. How would you try to control the number of tourists so they do not turn the city into a commercialised open-air museum? Or have you adopted a laissez-faire attitude? Mayor Termont replies: ‘Eagerly’? Yes, indeed. But we strive for sensible growth. Tourism is economy, generating revenue and creating a lot of local jobs. Hence, we want to grow. Sensible, not at any price  because in 2050, our city still has to be great for our locals, for our students, for our businesses and for our guests. Question: As a teacher in a secondary school in Ghent with many pupils from different countries, I have the feeling that most people in Ghent, immigrants included, have a very positive feeling about living in this city. I think this general feeling is much stronger in Ghent than in many other Belgian cities. How do you explain this and do you actively influence this? Mayor Termont replies: The (3-yearly) Flemish City Monitor shows that Ghentians are proud of their city. After his survey on the creativity level of our city in 2011, the internationally renowned professor and city advisor Charles Landry stated that Ghent is a pocket-sized metropolis, which is at the basis of our success. Ghent is not a mega-city full of anonymous individuals. It is an open city where a lot (if not: anything) is possible, but where, most of all, people join forces and share stuff. Ghentians share things such as cars, bicycles, food, clothes… As we like to say: ‘Sharing is the new having’. In Ghent, the baseline is not ‘Every man for himself’. On the contrary: connecting people is the goal of all we do. We encourage Ghentians to take initiatives because the increase social cohesion. Participation is in our genes. A ‘smart city’ would be nothing without ‘smart citizens’. Inhabitants, entrepreneurs and npo’s are involved in all city plans. Civil servants and the members of the City Council alike, are close to the Ghentians. The chairman of the Control Commission on City Policy of the Flemish government once stated that ‘Ghent is like a city of hippies, whereas Antwerp is more like a suit & tie kind of city’. Question: You and your colleagues work to make of Ghent a child-friendly city. Can I ask you what are your intentions to make our city also senior-friendly. Senior citizens also require many things that are of interest to young people, such as mobility, training, culture, entertainment and managing modern technology and social media. The Elderman’s policy note that integrates this range of policy actions proves Ghent to be an age-friendly city, is based upon the eight components and checks the boxes of the World Health Organization concerning this label. Preparations are made to acquire the label of dementia-friendly city. To bolster the solidarity and contacts between generations an action plan for intergenerational cooperation and cohabitation is being prepared and will group the existing actions. I told them that a city that is child-friendly, would automatically be a very nice place for  among others - seniors. Child-friendly cities are vibrant but safe, quiet at night, full of park areas, and so on. They left all satistied. Question: Ghent has plans to make the city centre car free. What will happen to all the underground car parks, which provide the city with substantial revenue? And don't you fear that many tourists from neighbouring cities will no longer visit for a day or a weekend? Let's be honest, Ghent does not have a train station in the heart of the city like Bruges. Mayor Termont replies: Our future ‘Mobility Plan’ will make sure that everyone will still find his way to Ghent, in the most suitable way to ensure that the city remains livable at all times. The city center car parks remain open. We will, first of all, keep passing traffic out of the city center, since we have establish that no less than 4 out of 10 cars driving around in the city center have got no destination within that city center. Passing traffic causes queues, delay and dust. We should unite forces (with, amongst others, public transportation society ‘De Lijn’) to provide fine alternative means of transportation. I already mentioned our planned investments in cycling infrastructure. And of course, we will always make sure that tourist will be able to get to our city center at any time  by train and tramway, by tourist busses that take them to the center and return to specially equipped car parks for busses, and so on. Question: I visited Ghent for two weeks this year and plan to visit your city for about two weeks every two years. During my stay I found it very difficult to find parking space while on day trips to other parts of Belgium. Can you think of any suggestions with regards to providing temporary parking permits for limited periods (say one or two weeks) specific in certain parts of the town? Mayor Termont replies: We know that, at times, parking can be difficult in Ghent, but we try to facilitate every visitor request and for your problem we have the perfect solution. The city owns six car parks which are located in different areas of the city center. There you can buy parking cards which allow you to park in one of the selected car parks. They can be used as a season pass, so you can visit other cities and don’t have to worry about a parking space when you come back, although in Belgium there isn’t a better city to visit than Ghent. Another solution is the use of one of our park and rides outside the city center. Parking is free and from there on you can use the public transport, which stops frequently at those park and rides. You will avoid traffic jams and can use our extensive public transport to get were you need to be. Question: What have you learnt from other mayors and what could Ghent teach other cities in Europe? Mayor Termont replies: Of course you pick up things along the way. Ghent is a member of numerous city networks in Europa and has bonds with cities all over the world  in South-America, in China, in South Africa. To give only one (recent) example: I picked up ‘Buurt Bestuurt’ in Rotterdam. In some of our neighbourhoods, we have citizens deciding on the priorities for the Police in that neighbourhood. The Police Force invests a vast amount of working hours on these priorities, as do our Community Workers. Ghent itself is a pioneer in the field of policy participation and co-creation. We encourage our citizens to set up initiatives for the benefit of their neighbourhood  and support them with a subsidy and/or material. Question: What have been your significant accomplishments and / or regrettable disappointments since becoming mayor in 2007? Mayor Termont replies: I think it is fantastic that more and more Ghentians set up initiatives for the benefit of their neighbourhood. They recycle things, they share things, and so on. Of course: that has got everything to do with our yearlong municipal policy of support in the fields of participation and co-creation. We support the organization of neighbourhood festivities, we have set up a special fund for the temporary use of fallows, we are to launch (Spring 2015) our own online crowd-funding platform. This way we connect people with positive result. Question: You have indicated that your current term as mayor will be your last one. What qualities will you successor need to continue your work? Mayor Termont replies: Indeed: I will retire at the end of 2018, when I am 65. My successor, whoever that may be, will most of be able to have people co-operate on city policy. He should be authentic, ‘for real’; willing to work hard 24/7, and willing to listen to all of the citizens. A mayor should be like a conductor who knows both score and musicians through and through to achieve symphonic perfection  in the case of the mayor: the best possible city policy for all inhabitants.